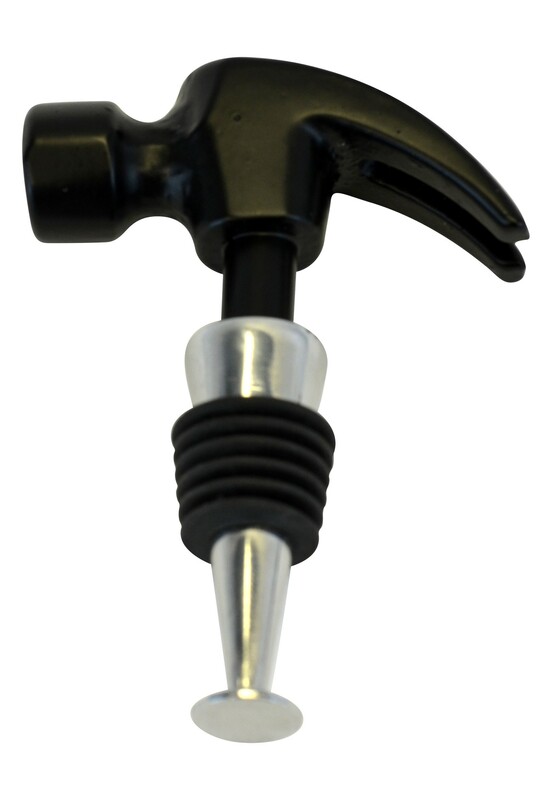 If you're having a tough time nailing down why all your wine is going bad, then you need this Hammer Bottle Stopper from Fairly Odd Novelties! With this novelty bottle topper, you can really hammer home the laughs when you or your guests see this hilarious stopper! This Hammer Bottle Stopper is made with authentic and realistic hammer detail to ensure it resembles the real thing, and will delight the craftsman or fixer-upper in your life. If you're having a tough time nailing down why all your wine is going bad, then you need this Hammer Bottle Stopper from Fairly Odd Novelties! With this novelty bottle topper, you can really hammer home the laughs when you or your guests see this hilarious stopper! This Hammer Bottle Stopper is made with authentic and realistic hammer detail to ensure it resembles the real thing, and will delight the craftsman or fixer-upper in your life. The stopper is crafted with 6 rubber rings to prevent any leaks from most wine bottles, as well as liquor bottles and beer growlers! This stopper makes a great gift at any birthday, white elephant, office, or secret Santa party. Order now and really hammer home how much you love your tools! Stopper is made of stainless steel and rubber, color is black. Measures 0.88" x 2.75" x 3.88".